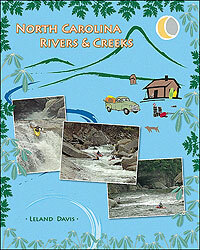 The River Gypsies: whitewater guidebooks, North Carolina Rivers & Creeks, North Carolina Whitewater Guidebook. This guide to the best whitewater in 9 regions of Western North Carolina and the surrounding area is the ultimate source for southeastern paddling. Whether you're a class II boater looking to step it up or a class V hair head looking for the latest cutting edge creeks, this book will get you there!